As of right now, you can customize and illuminate your system even more with the Aurora HardTube LED rings. The rings are made of brass and fitted with six LEDs inside. The outer finish is exactly the same as the high-quality finish used in the Eis- product series. The power connection is through a classic 3-pin plug with a 30cm long fine-sleeved cable. 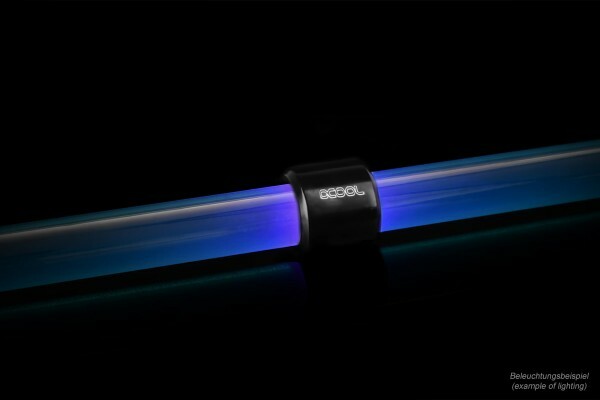 The rings are easy to slide over the HardTubes and provide a bright, powerful light at the desired spot, illuminating the HardTube and the coolant. Since the Aurora LED rings can be slid freely over the HardTubes, you can design the setup in nearly any way you want and find the perfect look for your system.